Well Vancouver, it appears winter has returned. Just when you thought it was time to say goodbye to your parkas and snowboots, Mother Nature has other plans in store for you. 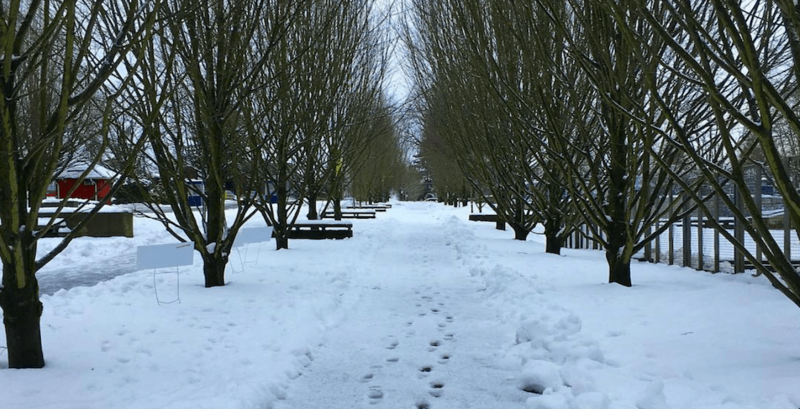 A snowfall warning was put in place Tuesday for the Vancouver region, advising that 10-15 cm of snow was expected to fall throughout the evening and into Wednesday morning. And while this will surely lead to a snowy messy commute to work for many, some good did come out of last night’s snowfall. The snowfall, which blanketed most of Vancouver, was wonderfully picturesque and transformed the city into a winter wonderland. And we get that everyone is ready for spring, but you have to admit, all this snow sure is pretty.